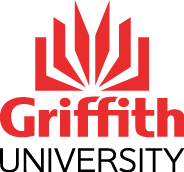 Griffith University is a public research university in southeastern Queensland on the east coast of Australia. The university has five campuses located in the Gold Coast, Logan City and the Brisbane suburbs of Mount Gravatt, Nathan and South Bank. Exploring Economics: Will the Next Generation Be Worse Off? via FutureLearn 3 hours a week , 3 weeks long 3 hours a week , 3 weeks long 10th Sep, 2018 No reviews yet. Maternity Care: Building Relationships Really Does Save Lives via FutureLearn 3 hours a week , 3 weeks long 3 hours a week , 3 weeks long 24th Sep, 2018 No reviews yet. Assessment of the Newborn via FutureLearn 3 hours a week , 2 weeks long 3 hours a week , 2 weeks long 22nd Oct, 2018 No reviews yet. An Introduction to Forensic and Bio-archaeology: Reading Human Skeletal Remains via FutureLearn 3 hours a week , 2 weeks long 3 hours a week , 2 weeks long 14th Jan, 2019 No reviews yet. Cities of Yesterday, Today and Tomorrow: Why Heritage Matters via FutureLearn 3 hours a week , 2 weeks long 3 hours a week , 2 weeks long 21st Jan, 2019 No reviews yet. Social Change: How Can Marketing Help? via FutureLearn 3 hours a week , 2 weeks long 3 hours a week , 2 weeks long 18th Feb, 2019 No reviews yet. Big Data Analytics: Opportunities, Challenges and the Future via FutureLearn 4 hours a week , 2 weeks long 4 hours a week , 2 weeks long 18th Feb, 2019 No reviews yet. Major Sport Events: Winning Through Diversity and Inclusion via FutureLearn 3 hours a week , 2 weeks long 3 hours a week , 2 weeks long 25th Feb, 2019 No reviews yet. Why Experience Matters: Qualitative Research via FutureLearn 3 hours a week , 2 weeks long 3 hours a week , 2 weeks long 18th Mar, 2019 No reviews yet. Plagues, Pestilence and Pandemics: Are You Ready? via FutureLearn 3 hours a week , 2 weeks long 3 hours a week , 2 weeks long 25th Mar, 2019 No reviews yet. Safer Healthcare for Australia's First Peoples via FutureLearn 3 hours a week , 2 weeks long 3 hours a week , 2 weeks long 25th Mar, 2019 No reviews yet. Why Numbers Matter: Quantitative Research via FutureLearn 3 hours a week , 2 weeks long 3 hours a week , 2 weeks long 1st Apr, 2019 No reviews yet. Future-proofing the Health Workforce via FutureLearn 3 hours a week , 2 weeks long 3 hours a week , 2 weeks long 8th Apr, 2019 No reviews yet.